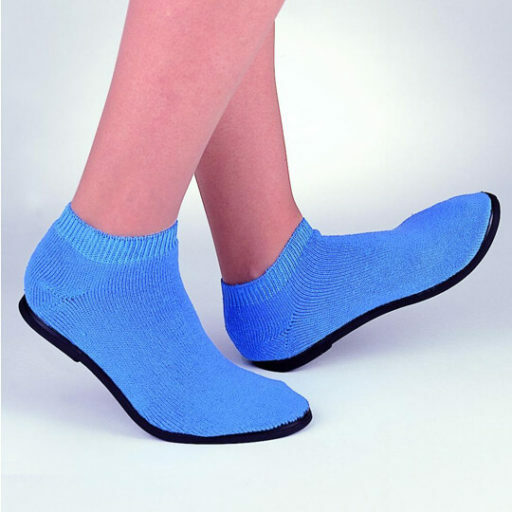 The flexible sole offers a slip-resistant sole bonded to soft, breathable terrycloth. The durable rubber sole is waterproof and resists piercing. Hard Soles+ Slippers are an excellent choice for long-term care. Hard Soles+ Slippers have a high-ribbed ankle for added comfort and a secure fit and are machine washable.